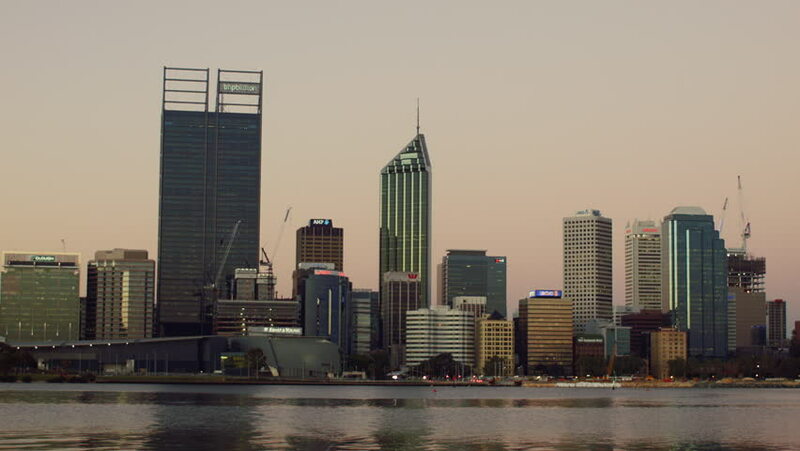 PERTH, AUSTRALIA - OCTOBER 2014: The skyline of the City of Perth in the light of dusk on a clear day. hd00:20PERTH, AUSTRALIA - JULY 2016: Downtown Perth City skyline across the Swan River at dusk. 4k00:13New York City Manhattan skyline over Hudson River viewed from New Jersey at dusk. hd00:28PERTH, AUSTRALIA - JULY 2016: People walking and running along the South Perth foreshore, with the Perth city skyline and the Swan River in the background at dusk.